A seamless marriage of function and aesthetics explains this viral project by Yong Studio. The Malaysian interior design firm quickly rose to internet fame with their creative and Nordic theme projects that have turned simple everyday spaces into dreamy homes. Read more about the woman behind this rising empire. 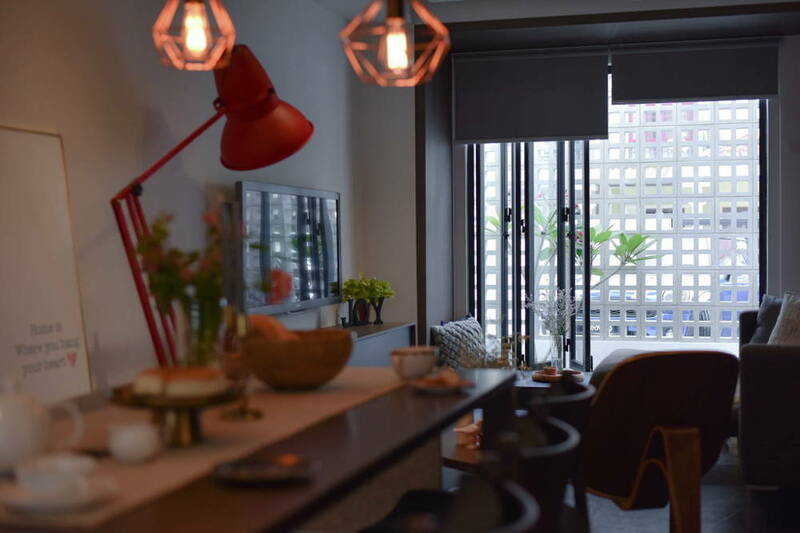 Lodged within rows of nondescript homes in Kepong lies the grayscale entrance to Yong Studio, one of the industry’s rising stars and game-changers. 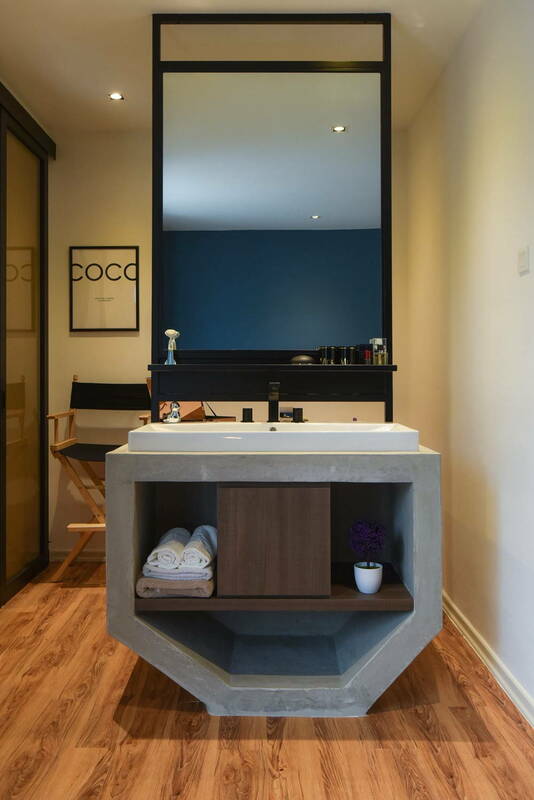 In what felt like a Narnia moment, guests are welcomed into a trendy, chic, and above all, creative space – away from the mundanity of the exterior neighbourhood. Steph is the driving force behind Yong Studio’s success, the ‘Yong’ in Yong Studios; her success story will renew your belief in dedication and hard work. We spoke to her about one of her most renowned projects, the one that made Yong Studio a household name amongst the public and not just industry veterans. She regaled us with visions of a thriving design industry and how she went from doing paperwork to being a creative genius. Steph resolved to branch out on her own when she decided that doing administration and sketch work for an interior design firm didn’t allow her to hone her creativity. Using her last paycheck in 2012, Steph started Yong Studios with one desk and two hands. Despite having little to no knowledge of running a company, balancing accounts, and managing budgets, Yong Studios took on its first project: designing Steph’s brother house. Yong Studios hasn’t looked back since, taking project after project and transforming template houses into homes that ooze personality. Yong Studios officially became a firm in 2015 and has grown to become what it is today, an award-winning agency. 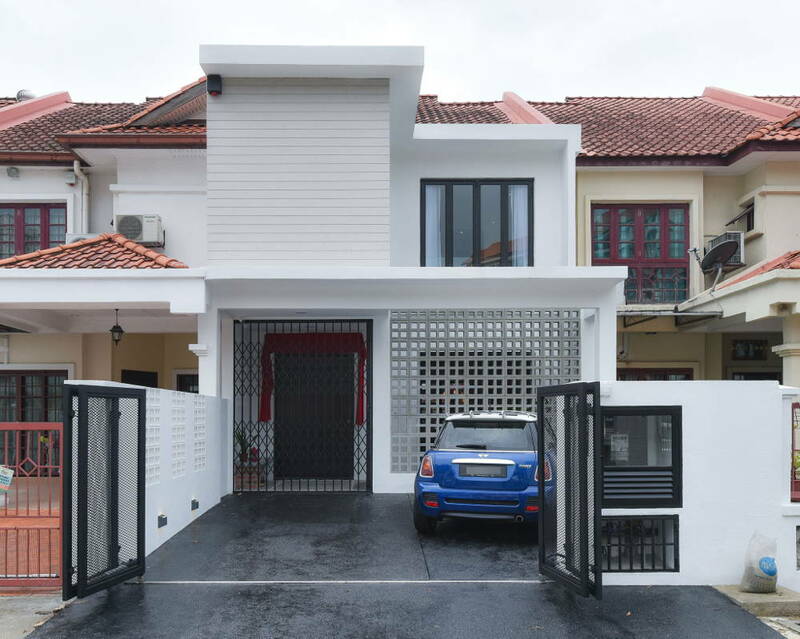 With over 14 thousand likes on Facebook, Yong Studio’s Othello Board, a 2,300 sq feet terrace home has garnered the attention of homeowners and industry folk. Much to Steph’s amusement, images from the project has been used by many other companies and organisations on social media. With a reputation like hers, some of Steph’s clients allow her a free hand on their spaces, and Othello Board was no different. Her vision for the house was a simple, functional, and aesthetically pleasing space where the homeowners – a young couple – could unwind after a long day’s work. 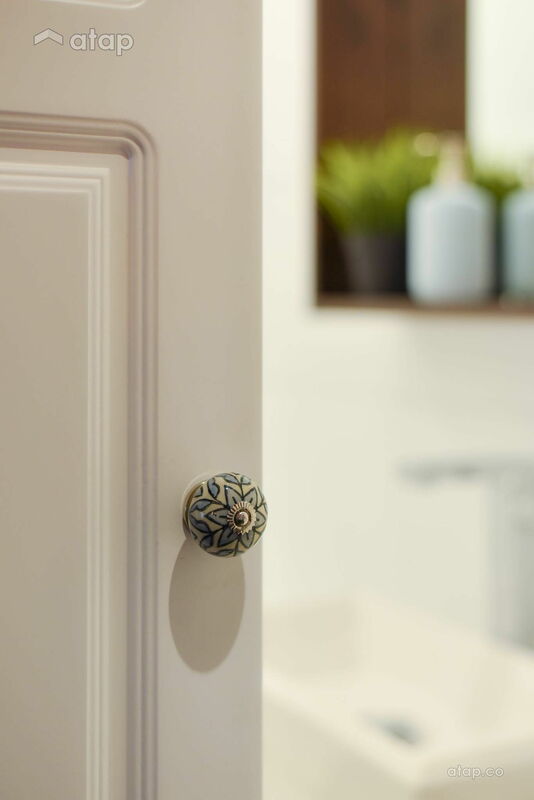 Prior to taking up any project, Steph makes it a point to get to know the homeowners on a personal level, finding out their needs, lifestyle, and style. She then visits the space and takes into account the structure and layout of the home before visualising the designs of the project. The Othello Board project is special as it features thoughtful solutions to everyday problems while prioritising aesthetics. 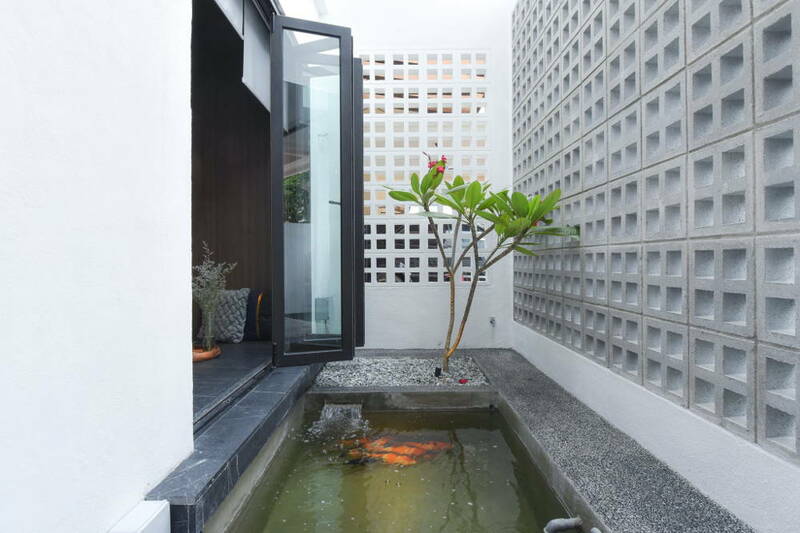 The façade of the home is clever; the combination of a grill gate, exposed bricks, and a koi pond behind those bricks (acting as a moat) boost security without sacrificing aesthetics. The brick wall breaks up a full security grill that can feel prison-like while keeping prying eyes away. 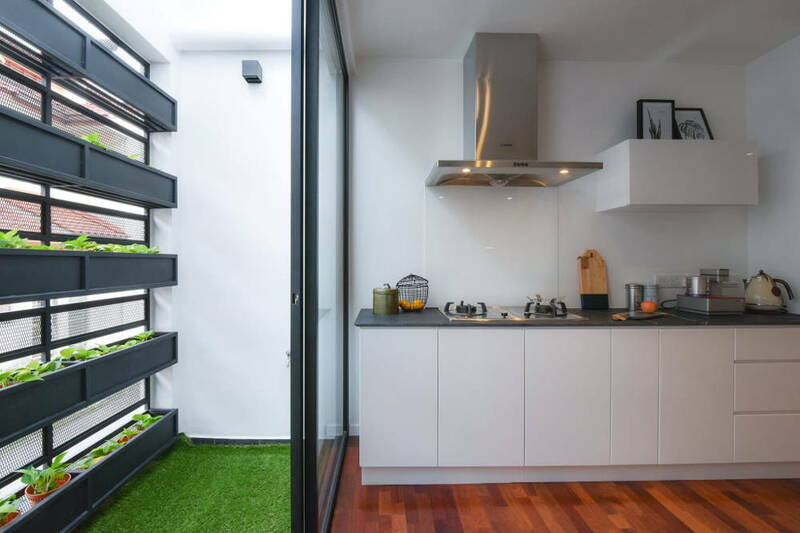 To tackle the security issue in the kitchen, Steph eschewed the same security grills for a wall of planter boxes, keeping the home as safe as it is green. Instead of seeing obstacles as a hindrance, Steph sees them as an opportunity to think outside the box. So when it came to designing the guest bedroom, an obtrusive beam on the floor was incorporated into a bed frame with a tatami platform. This frame not only conceals the beam, but also doubles as practical storage! 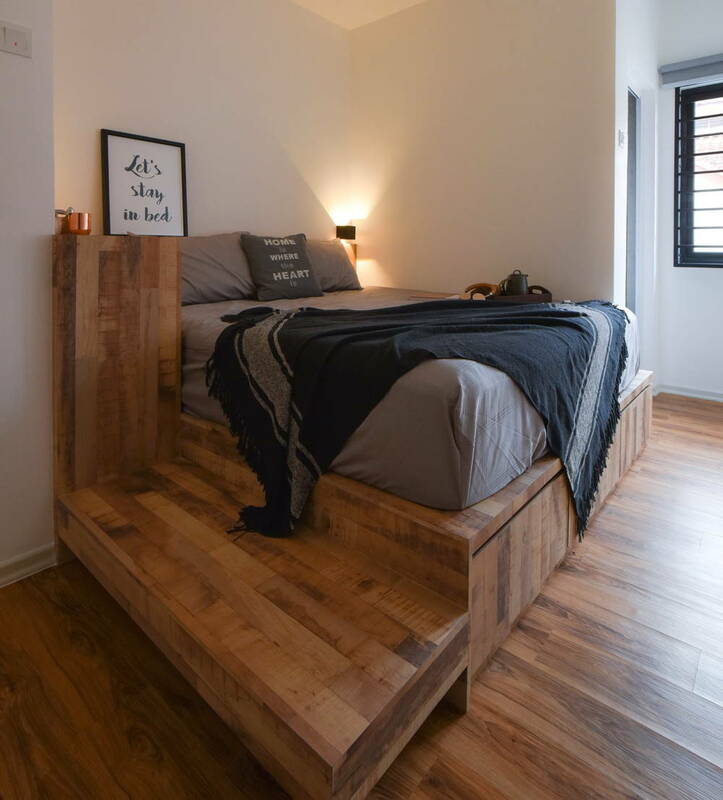 Although the creative head of Yong Studio believes in keeping bedrooms simple to encourage communication in common areas, the Othello Board master bedroom was transformed into a sanctuary. The master bedroom has a faux balcony, extended to allow floor-to-ceiling views of the outdoors via a door, but without the outdoor balcony space. This gives its occupants the benefit of a balcony view and a connection to the outside world without the maintenance work required of an actual balcony. The bathroom in the master bedroom was also sectioned to give way to private use for couples. 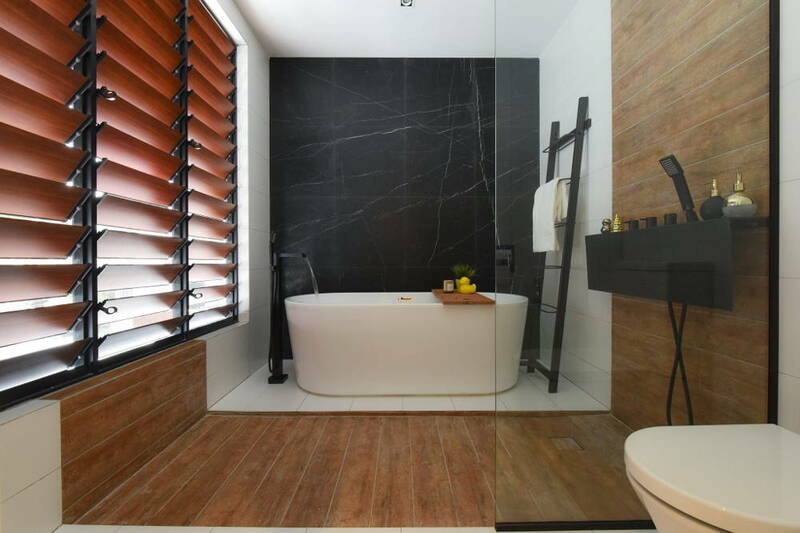 The shower, toilet, and vanity were separated using dividers to make it more convenient for couple to have own personal space. Being the creative director of Yong Studio has proved to be a rewarding position as Steph is taking a year off from being the face of projects to polish the skills of the studio’s in-house designers. 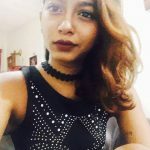 She aims to groom her talents and help them realise their potential by marketing them as individuals with unique design perspectives. By putting a spotlight on designers as individuals, homeowners can have a better sense of the firm’s various design styles, allowing them to look for interior designers the same way people look for hairstylists – pick the one who can give you your desired result. 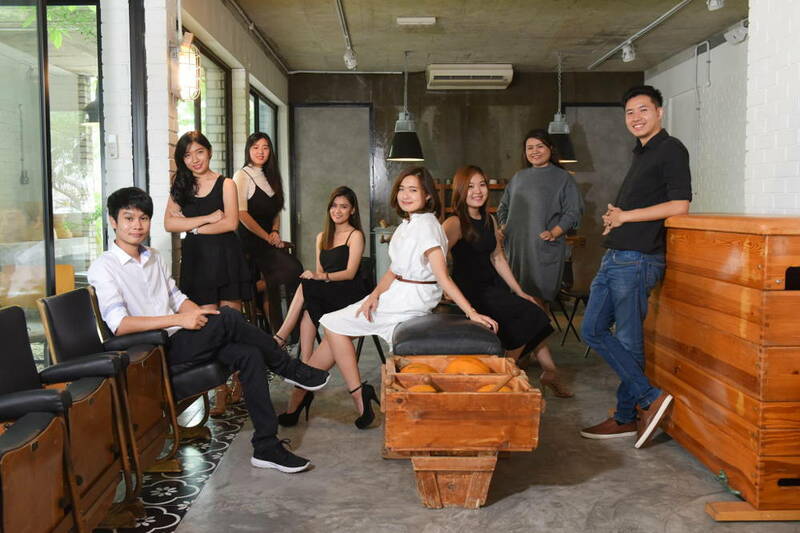 Yong studio’s mantra is all about positive feelings, and that is exactly how we felt as we were leaving the creative space – partially due to an artificial high from the imported chocolates and floral tea we were served. Of the importance of designing a space that evokes positive feelings, Steph says, “you can forget images but you’ll never forget a feeling”. Take a look at other Yong Studio projects. If you’d like to view other projects of more Malaysian interior designers on Atap.